This printable alphabet board game is from Confessions of a Homeschooler’s Alphabet Review. When you land on a letter you say the letter, it’s sound, and something that starts with that letter. So fun! You could play this any way that you want, just naming the letter or sound. 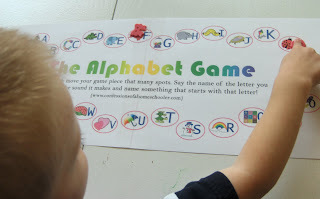 Make sure to check out the rest of the alphabet review at Confessions of a Homeschooler! You have such a great blog! Congrats on the 1000 readers! Thank you for all the great ideas! What a fun game, and I bet it wouldn’t be hard to make as a craft, either! 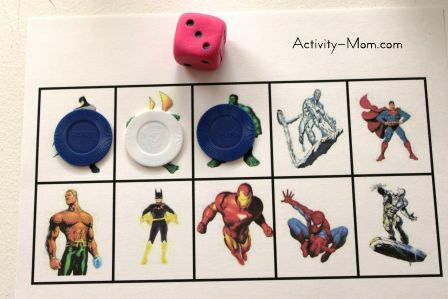 That is such a fun and clever printable! Its perfect for my boys ages 4 and 5. 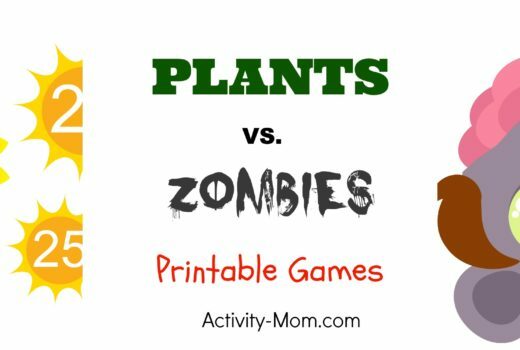 Thank you for the printable…my girls will love it.